This guest post was written by T.J. Aaron from LaptopLogic.com (website now offline) – the best place to read about new laptop hardware. 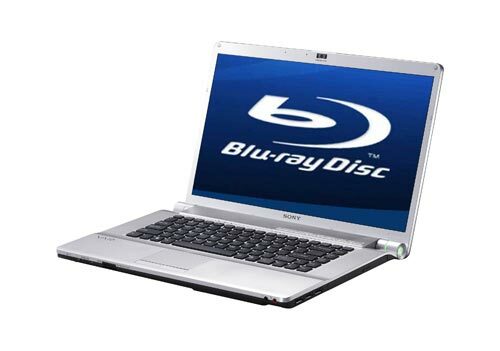 While the first Blu-ray equipped laptop appeared in 2006, a Sony no less, only lately have we seen Blu-ray drives become more common in portable computers. With the HD format war long over, Blu-ray laptop adoption is finally starting to increase as a result of increased consumer demand and decreasing hardware costs. One common reason people are electing for a built-in Blu-ray drive is the ability to use it as a player for an HDTV. If you are one of these people, make sure that the laptop’s LCD can display HD content in full resolution, with a minimum resolution of WXGA (1280×800 or 1280×768). Even then, many laptops have relatively low quality displays, colors, blacks, and viewing angles are disappointing. For dedicated playback on your laptop, keep in mind that Blu-ray’s image quality increase over DVD will be less noticeable on such relatively small screens. Also keep an eye out for newer laptops that sport a more compatible 16:9 screen format, generally in 16 or 18 inch sizes; Dell and Sony offer some of these models. Unfortunately most laptops just aren’t equipped to deliver a proper home theater experience to an HDTV. The roadblocks here are the audio and video outputs. The majority of laptops today come only with a VGA output, which itself supports HD resolutions, but your TV must support HD resolution input via VGA or you’re out of luck. Wait, what if your laptop has a DisplayPort output? Well that certainly provides a high quality video output guaranteed of supporting HD resolutions, but many laptop manufacturers have not implemented audio transmission over DisplayPort yet. That means you are left with the low quality stereo output jack built into the laptop; say goodbye to your stunning Blu-ray digital audio. If you are a smart shopper who is intent on outputting your Blu-ray movies to an HDTV, limit your search to models with integrated HDMI output. Most of the major manufacturers offer models with these outputs, but you need to shop carefully. Just connected it on my blog with the new Dell 14z. Blue Ray Laptop for students, and has an HDMI output.